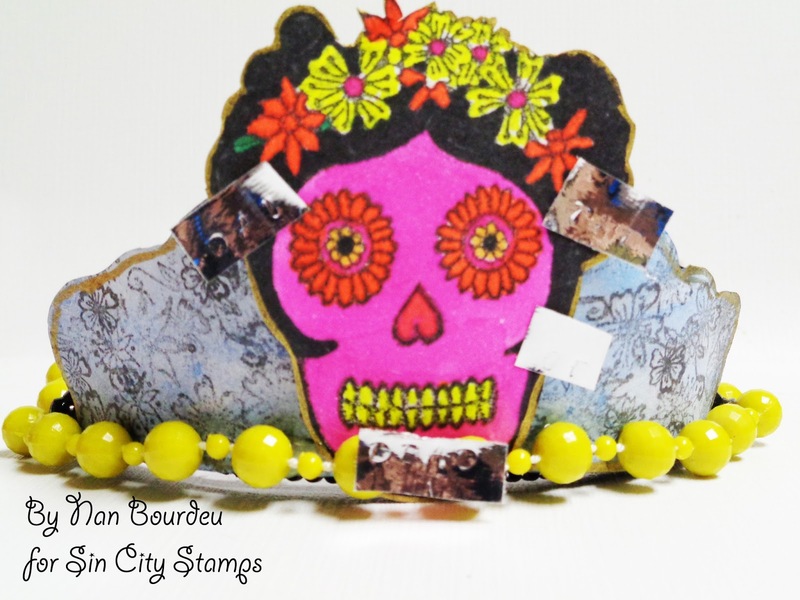 Dream In Darkness: Day of the Dead and Sin City Stamps! From the Sugar Skulls sheet by Michelle Frae Cummings! The base is a dollar tiara from my fav store the dollar tree and I have had plans for it for ages and here it was! So the lovely sugar skull that reminds me of the La Catrina was colored up fancy and bright in Spectrum Noir Markers and fussy cut! 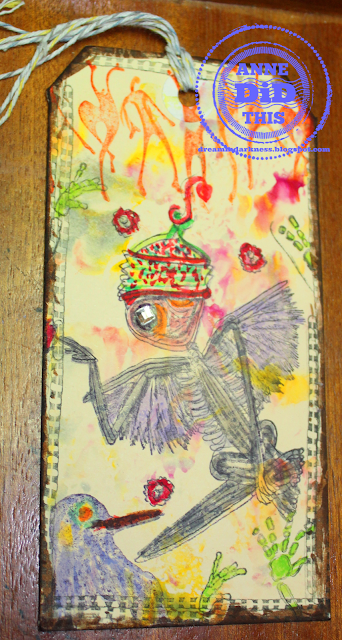 The side pieces were the yummy flowers on the sheet stamped over and over and then sprayed with a glue Tattered Angels and outlines in gold as was the skull. I as you all know love anything shiny even though I know my photography skills say no vehemently but I saw where duct tape was being stamped and embossed and of course off I went to find my metal stamps! Now on this I can say no more! Think about it??? 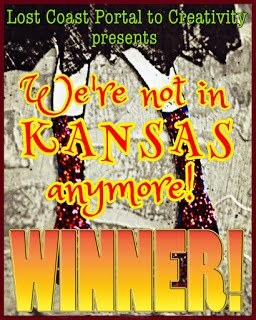 I was supposed to be a blogger for the hop but the horrid ugly flu took me down a peg or ten so here is my late offering to the Day of the Day! Hope you enjoyed! Check the links below for more goodies and a good chance to win a whole Sugar Skull Sheet on our Facebook Fan Club Page! 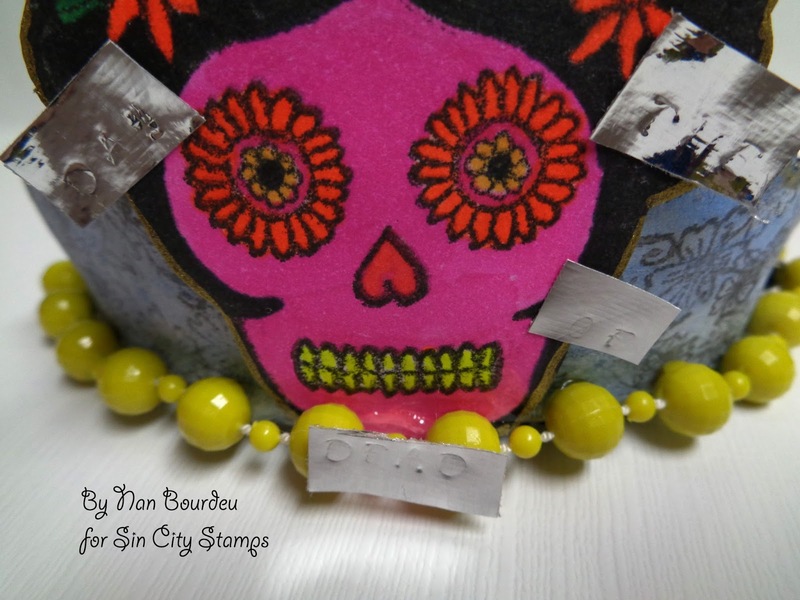 Sin City Stamps Fan Club Facebook Page Join and LIKE us! 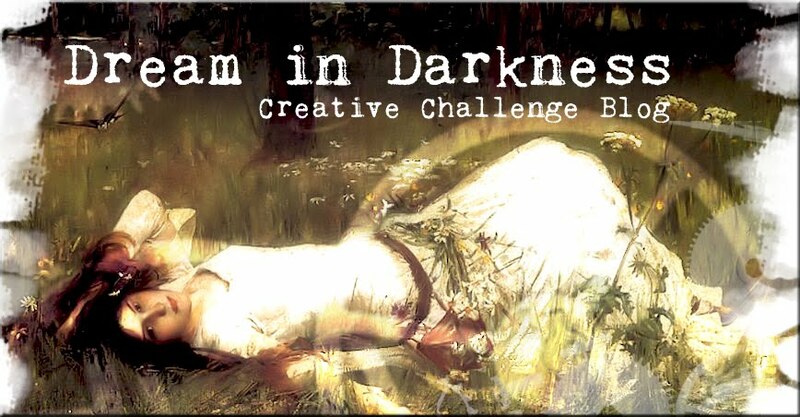 Don't forget about our challenge at Dream in Darkness enter HERE for freebies from Sin City Stamps!